Why did DLF sell the business? DLF’s motive for starting this business was to have it as an anchor tenant in the malls it has set up. That helped draw people to the mall and act as a selling point for other retailers to buy or lease space. Initially, having a multiplex business in-house may have helped, but it’s a business that has very different dynamics. It is also capital- intensive in the initial years. And, the slowdown that hit real estate has led to DLF deciding to discard its non-core businesses. But a multiplex is an integral part of a retail mall, which explains the transaction structure, which ensures a degree of inter-dependence. DLF gets a stake of about 9% in PVR, which can be sold at a higher valuation, later. DLF will continue to get lease rentals from these cinemas and even a share of revenue. PVR benefits from scaling up at a relatively low cost. 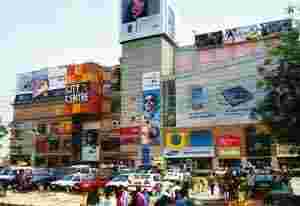 It also gets a running business and the right to set up multiplexes in all new DLF malls. Size gives more bargaining power in this business and also spreads out costs such as marketing and promotion over a large number of screens. PVR’s profitability can improve as a result.